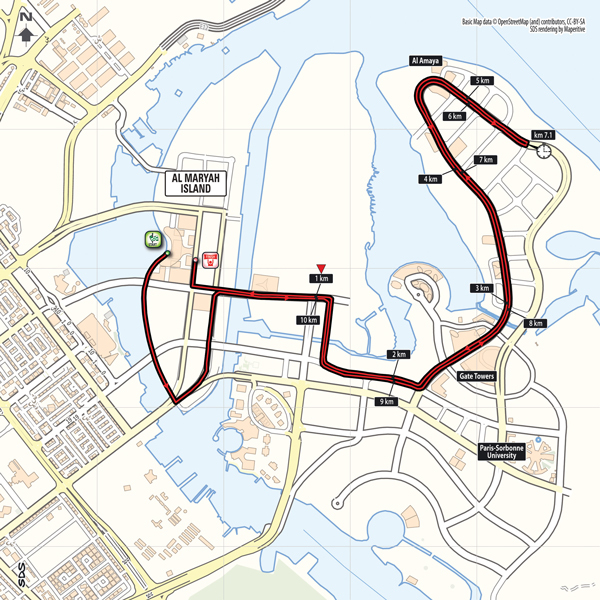 Abu Dhabi (Al Marina), 23 February 2018 – The German rider Phil Bauhaus (Team Sunweb) won Stage 3 of the 2018 Abu Dhabi Tour, from Abu Dhabi to Abu Dhabi (Al Marina - 133km), in a bunch sprint. 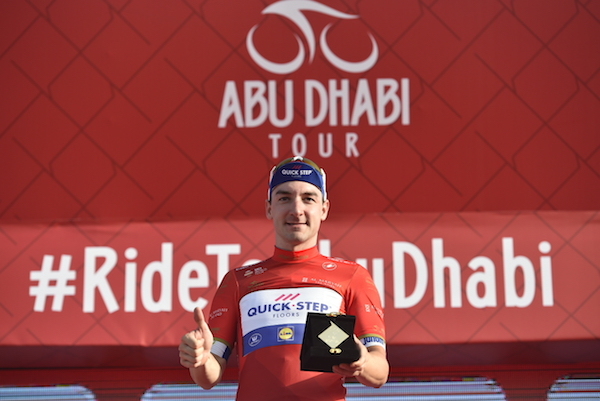 Elia Viviani (Quick-Step Floors), fourth on the finish line, retains the lead in the General Classification. On the podium he was rewarded with the race leader's Red Jersey, sponsored by Al Maryah Island, and also the points leader's Green Jersey, sponsored by Emirates Post. 2 - Marcel Kittel (Team Katusha Alpecin) s.t. 3 - Pascal Ackermann (Bora - Hansgrohe) s.t. 4 - Elia Viviani (Quick-Step Floors) s.t. 5 - Caleb Ewan (Mitchelton - Scott ) s.t. 2 - Alexander Kristoff (UAE Team Emirates) at 3"
3 - Phil Bauhaus (Team Sunweb) at 3"
Stage 4's 12.6km Individual Time Trial is held entirely on wide and mostly straight roads with relatively broad bends. The U-turn and time check point are at km 7.1. The last section is on wide roads with broader bends and a perfect surface. The final 350m stretch is on tarmac.